Okay, I know that this may not be the happy relationship these pictures indicate. And I know there are a lot of… shenanigans involved. 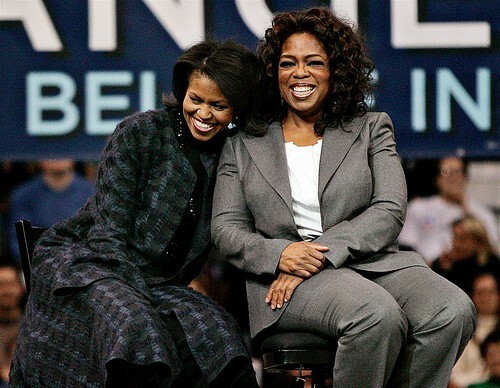 But I really heart the way these two women look together when they’re being friendly. 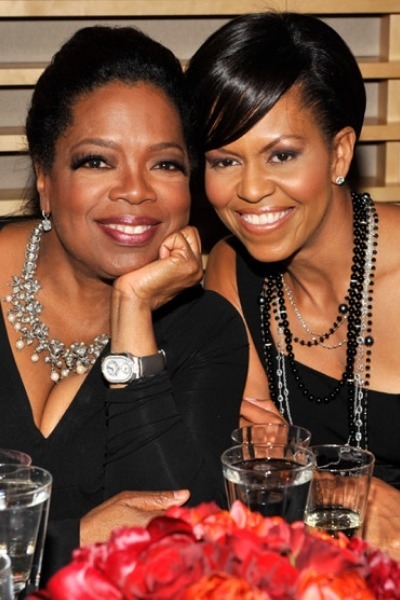 I could write fanfiction all day about how Michelle teaches Oprah to let go and love herself while Oprah teaches Michelle how to control a media empire and rule the world through talk show-ism.